4☆ Holidays to Greece - Save on Luxury Now! 4☆ Holidays to Portugal - Save on Luxury Now! 4☆ Holidays to Spain - Save on Luxury Now! 4☆ Holidays to the Balearics - Save on Luxury Now! 4☆ Holidays to the Canaries - Save on Luxury Now! 4☆ Holidays to Turkey - Save on Luxury Now! Balearic all-inclusive alcohol ban - is it right? 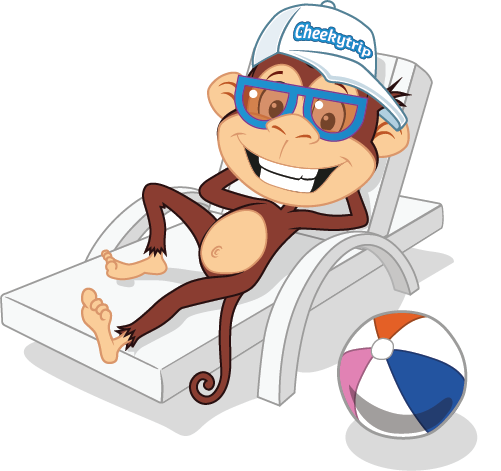 Sit back and relax while we find your ideal Cheeky Trip! All partners on Cheekytrip.com are members of ABTA or ATOL. © 2013-2019 Cheekytrip.com. All Rights Reserved. Enter your email address and we'll send you a selection of our top holiday deals each week. You'll also be automatically entered into our regular competitions!